The American woman was fortunate enough to present with a classic target-like erythema migrans rash. The challenge for doctors is to diagnose Lyme disease in travelers with atypical rashes, negative serologic testing, and late Lyme disease. Mantilla-Florez, Y.F., A.A. Faccini-Martinez, and C.E. 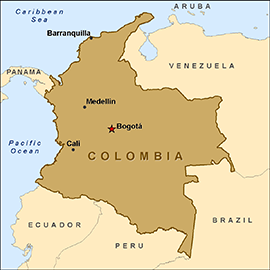 Perez-Diaz, American woman with early Lyme borreliosis diagnosed in a Colombian hospital. Travel Med Infect Dis, 2017. 1 Reply to "American traveler with Lyme disease"